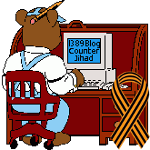 Sen. John McCain throws temper tantrum; shows his true pro-jihadi, anti-Christian colors — 1389 Blog - Counterjihad! Sen. John McCain is a prime example of how U.S. officials so often have misjudged overseas crises, believing that the best way to bring democracy to a country is through massive US bombing and invasion. The Arizona Senator has been highly critical of Pres. Obama’s ‘arm the rebels strategy,’ urging a more direct US military intervention in Syria. 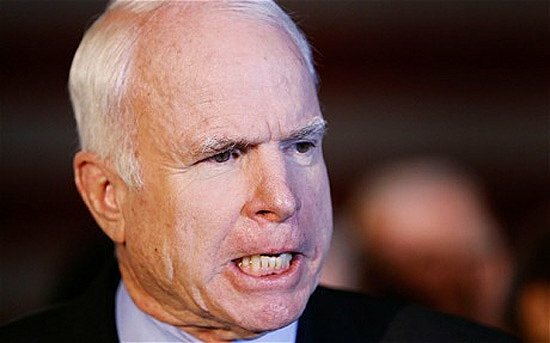 Sen. McCain does not seem to understand that toppling Pres. Bashar Al-Assad would result in more deaths and destruction, and turn Syria into a major hub of international terrorism. Over 30,000 Islamic Jihadists from dozens of countries currently are fighting the Syrian government and each another — surely, not to bring democracy to Syria! In fact, the former Republican presidential candidate is so obsessed with beating the drums of war that reportedly he behaved in an ill-tempered and discourteous manner with a group of high-ranking Christian Syrian leaders, just because they were not advocating violent regime change. The church delegation had come to Washington last month seeking a peaceful resolution to the Syrian conflict and protection for Christians numbering around two million — 10% of the country’s population. The visiting Church leaders included Bishop Armash Nalbandian, Primate of the Armenian Apostolic Church of Damascus, and representatives of the Presbyterian, Evangelical, Syrian Orthodox, and Greek Orthodox churches of Syria. The delegation met with members of Congress, State Department officials, U.S., NGO’s, academics, religious leaders, and members of the media.